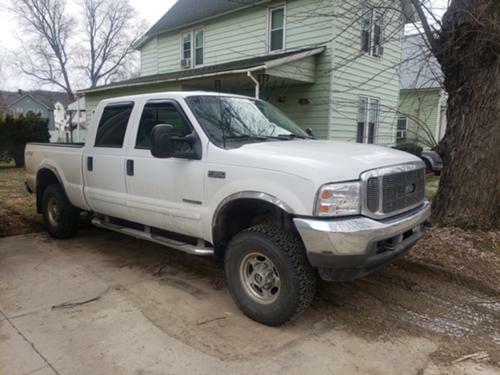 For Sale: 2002 f350 lariat diesel 7.3l with 4 gear auto transmission. As is needs body work but solid engine at 216k miles any questions or want pictures please text or call at 8147307825. Have title in hand no BS or deals want cash in hand that it is that simple. Must pick up not shipping or no BS serious inquires (people) only!! Don’t and won’t do this money gram, PayPal, or western union due to already having scams. As of 3 pm on 2/11/19 this truck is back up and available just send me message or call me with any questions or concerns.